I would like to welcome you to KDIPA’s website. Our authority was established in accordance with Law No. 116 of 2013 regarding the Promotion of Direct Investment in the State of Kuwait. It is mandated with the tasks of attracting value added direct investment into Kuwait; promoting Kuwait as a lucrative investment destination; receiving applications for investment licensing and granting incentives; servicing investors; in addition to streamlining business environment and enhancing Kuwait’s competitiveness. This will all be conducive to fulfil our crucial goals of supporting economic diversification and the leading role of the private sector in the national economy. Given the fast pace of technological and communications advances, we were particular that our website will optimally serve as a dynamic portal for availing transparent, reliable, and timely information to investors and visitors. 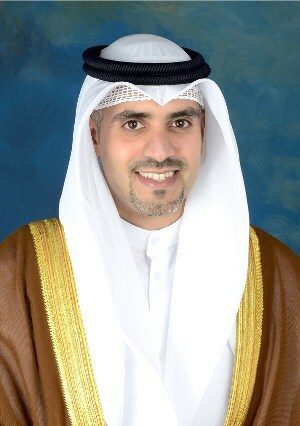 It highlights KDIPA’s role, relevant laws and regulations, incentives and guarantees, as well as the attributes of Kuwait as investment destination, potential investment opportunities, the licensing and granting incentives procedures, updating KDIPA activities as depicted in published news and social media accounts. We hope our efforts will succeed in raising awareness and disseminating knowledge that are truly informative about our developmental goals. We would also like to consider these channels as a viable medium to conduct an interactive dialogue with all stakeholders, bringing to our attention your views, suggestions, or any potential obstacle for us to help in addressing. We aspire to boost confidence in our investment climate, and create a positive image for our beloved country, which prides itself with its distinguished international relations, and extensive network of friends and partners worldwide in commercial, investment, developmental and humanitarian aspects.